This book provides a general introduction to the history of Jewish life in 14th century Asia at the time of the conqueror Tamerlane (Timur). 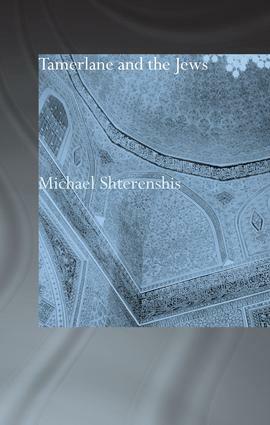 The author defines who are the Central Asian Jews, and describes the attitudes towards the Jews, and the historical consequences of this relationship with Tamerlane. Left alone to live within a stable empire, the Jews prospered under Tamerlane. In founding an empire, Tamerlane had delivered Central Asia from the last Mongols, and brought the nations of Transoxonia within the orbit of Persian civilisation. The Central Asian Jews accepted this spirit and preserved it until modern times in their language and culture. Dr Michael V. Shterenshis is a senior lecturer at the Finnish College in Jerusalem. He also teaches at AMHS school in Israel. Previously he worked as a cultural assistant for the Embassy of the Republic of Uzbekistan to Israel, and as a research fellow at the Hebrew University of Jerusalem.